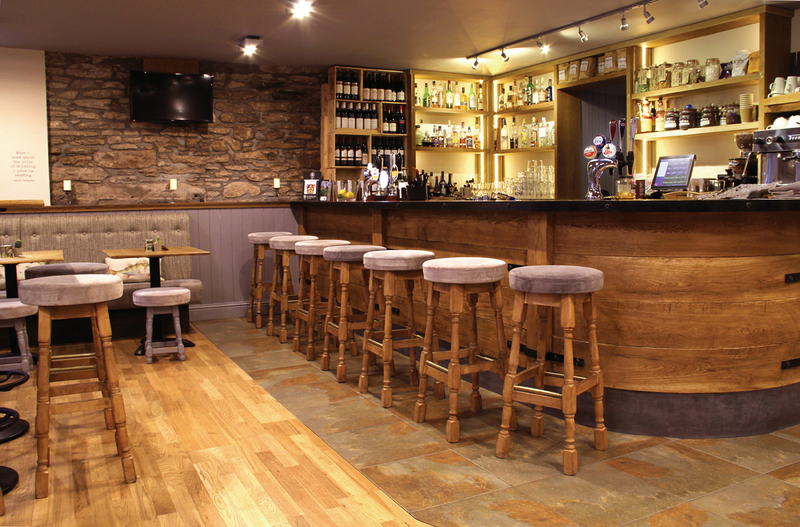 Scott Building Company were appointed Principle Design and Build Contractor to refurbish and fit out this ‘B’ listed hotel in the centre of Dunblane to achieve a high quality restaurant and bar facility for the community. 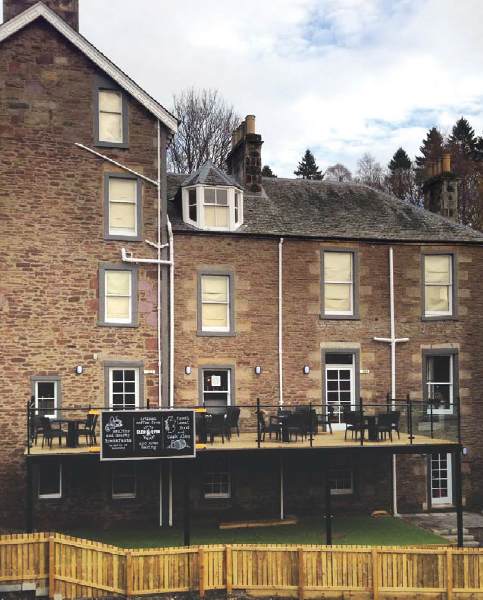 The refurbishment required structural alterations throughout the building with external facade stone work, roofing and window refurbishment and replacement to meet planning requirements. Scott Building Company worked closely with our design team and client providing a facility to maximise the location and use of the building to its full potential. The management and selection of key known supply chain partners ensured the coordination of the works progressed smoothly with high quality finish, meeting and exceeding our client’s expectation on time and budget. Scott Building Company Ltd were very knowledgeable and helpful in problem solving, their experience proved beneficial in finding structural and detailed solutions when stripping out within the existing building and finishing work to achieve sound results. The company showed consideration to working with neighbours within the adjoining area and their work was carried out with a high degree of health and safety. We have worked with Scott Building in other properties and have always found them to be professional in their approach, working to meet our requirements of time, quality & budget and would have no hesitation of using them again.